This short tutorial explains the Five C's- cut, colour, clarity, carat weight and confidence - the most important characteristics of buying a diamond. 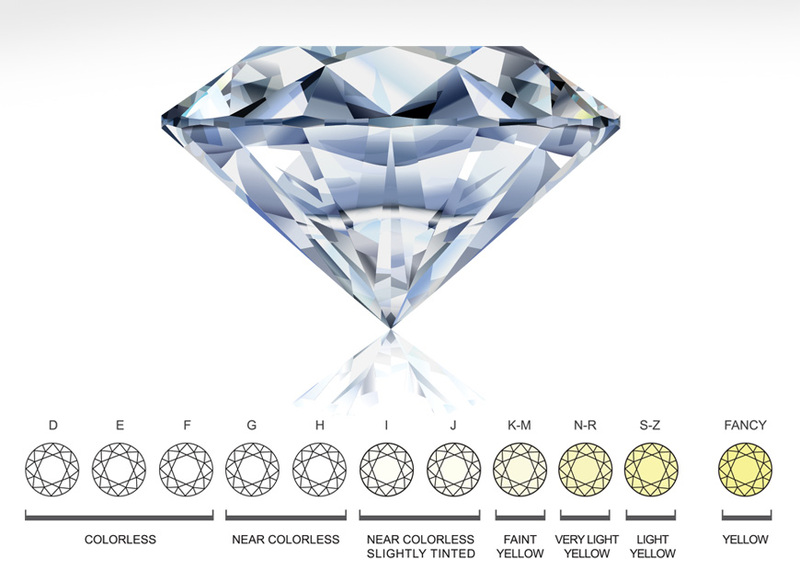 Picking the perfect diamond can be a mine field of information! Ultimately no matter the science the most important factor is what the stone means to you and what the piece represents. Whether it’s your first diamond in an engagement ring or a special pair of earrings for an anniversary, the diamonds will look as beautiful after 50 years as the day you received them. At Henry D Johnstone we take great care to ensure all the diamonds we carry are of the finest quality, all you need to do is pick your perfect piece. Diamond’s unique optical and physical properties give it the highest possible lustre of any transparent gemstone. This is called adamantine lustre after the Greek word Adamas meaning diamond-like. Carat is likely one of the oldest surviving units of measurement in history, used since antiquity as a standard unit to trade commodities and from the 1570s it began an inseparable relationship with the diamond. One carat is equal to 0.2 grams, doesnt sound like much but it might be the most valuable 0.2 grams that many people will come across in their lifetimes, did you know that to find even this much diamond we would have to move over 2400 tons of earth? Thats how rare diamonds are. Obviously the bigger they are the rarer they are and can grow in value as they grow in size, the way we value that mass of diamond really depends on the defining characteristics of the diamond as we go on to describe in the rest of our guide. The more scratched or dirty the glass pane of a window is, the less light its going to let in, in a nutshell the same is true with diamonds when referring to clarity. Clarity refers to the number, placement and disposition of natural inclusions within a gemstone. Inclusions can take on several forms, most commonly white marks in the form of feathers, clouds or cleavages. More notable marks include carbon deposits or mineral inclusions which are far more noticeable. Diamond clarity refers to the absence of these inclusions and blemishes. All inclusions have a different effect on a diamonds scintillation or sparkle, Obviously, the less inclusions you have in your diamond the better but most will have inclusions to some degree. The trick of it is choosing the diamonds with well-placed marks, we call these stones clever diamonds. These stones are often overlooked by some or passed over for not being clean enough but on inspection the stone may hide its flaws well and still have a great brightness about it. 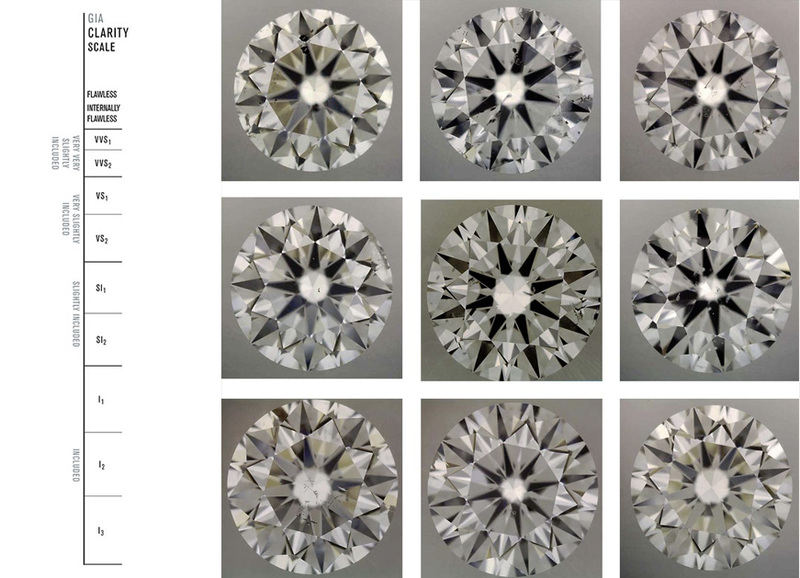 We try to offer a variety of options with clarity in our diamonds but we stick to certain standards guaranteeing that no inclusions present are visible to the naked eye, offering everything from stunning flawless diamonds to SI1-2. The diamonds you will find in our window will always represent the very finest mother nature has to offer, arrayed in dazzling whites and eye catching colours our stones are hand selected to show the very best in colour and hue from the extraordinarily rare D colours to fancy canary yellows and Cognac stones encompassing many shades in between. Contrary to popular opinion Yellow or even brown diamonds are not necessarily bad colours. Like most things in life it comes down to a personal taste and preference, its true that white or more properly termed colourless diamonds are certainly most prized but depending on the tone, hue and saturation of that colour some stones can take on a very different character which can often be very beautiful. Probably the most misunderstood of the four Cs! 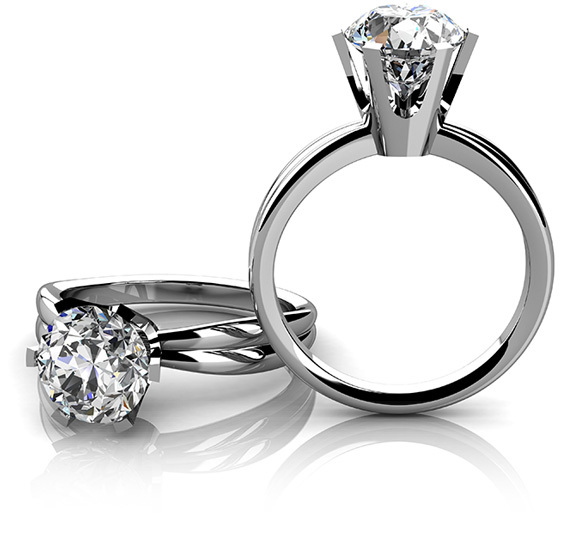 Cut does not solely refer to the shape of a diamond but it also refers to how well they are cut. We are not just looking for the shape but how well the diamond assumes that shape in its proportions, polish and symmetry. The reason this is so important is that it directly affects the way that light enters and exits the diamond. What is the perfect cut? Ideally, we want no loss of light from the sides or bottom having the light enter through the top, refract through the stone and leave through the top. The vast majority of our diamonds will be cut, facetted and polished using a combination of traditional and cutting edge techniques by master diamond cutters often taking up to three months to finish each stone. 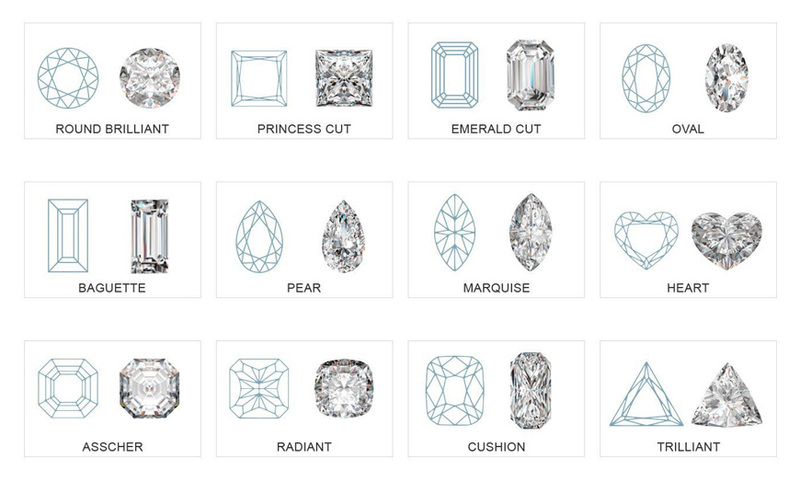 Our diamonds are available in almost any shape but most recognisable amongst them would be the square princess cut, rectangular Emerald cuts and the ever-present round Brilliant cut to name but a few. Many people shopping for diamonds will take the time to read up on the four Cs but the fifth is just as important confidence. By this we are referring to the confidence you can have in our diamonds, not just the four cs represented in a good certificate but a diamond chosen by hand with a practiced eye. A diamond could appear to be incredible on a certificate but if those elements aren't all in just the right proportions the stone wont have the life it ought to. Our diamonds are selected often from parcels of hundreds if not thousands of stones that will be whittled down to a chosen few that pass our exacting standards. A diamond is more than a certificate, you're not just buying a sheet of paper. In addition to this undoubtedly important assessment it must have life, fire, sparkle! We only pick the stones that speak to us on that aesthetic level which after all is the important thing here. Its often forgotten that you're buying a beautiful stone for what is often a very special, sentimental reason, its a decision we believe should be made with the heart as much as the head.